I grew up smack dab in the middle of CT and after moving all around the US, I’m surprised by the number of regional Italian specialties I grew up eating that I never saw again elsewhere. Like those thick slices of pizza, served cold and in rectangles, from Hartford; scacciata; and that whipped cream and strawberry cake I ate at dozens of confirmation parties and baptisms. You’re speaking directly to my heart right here, I hope you know! And yes, if you’re not from around here, no one knows what you’re talking about when you say scacciata. P.S. to those from other areas: it’s really not “stuffed bread.” Don’t forget, there were peaches in that cake with the whipped cream, too. Ours always came from Livecchi’s back in the day. 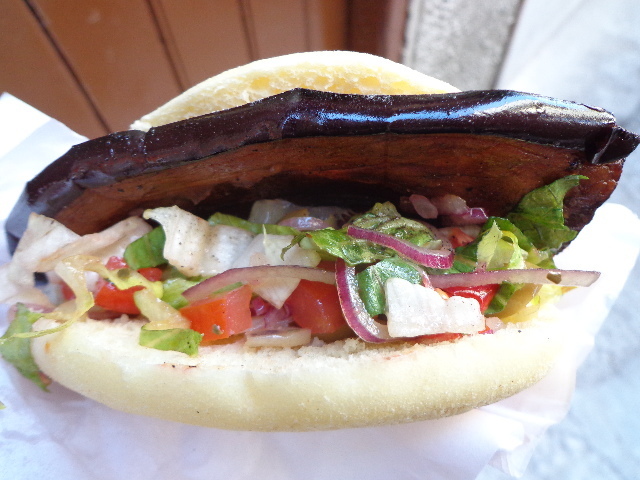 In Palermo, I had a quality sandwich containing one giant slightly salted sliver of eggplant, garbanzos, shredded lettuce, tomatoes, and onions. Looking up a picture of scacciata makes me think that was the broad name for that type of sandwich. Grazij! Interesting. 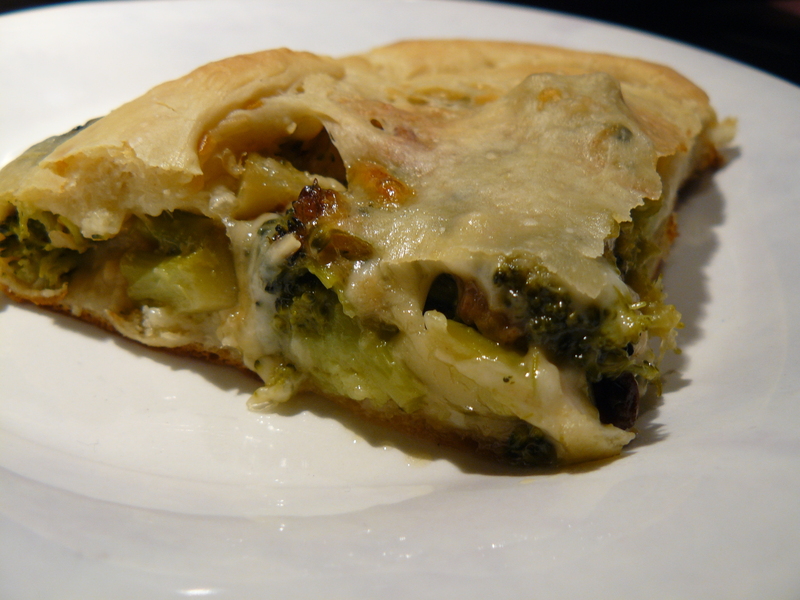 Round heah, it’s not a sandwich, but a double-crusted pizza (top and bottom) stuffed with broccoli, spinach or potato (or a combo thereof) with or without sausage. My hometown (Middletown, Connecticut) is the sister city of Melilli, Sicily. Your description just took me there. GRAZIE! that’s a great story and sometimes the best things are surprises. Nothing like just stumbling into awesomeness. So many of my favorite meals traveling have happened that way… perhaps because I was just so hungry and exasperated but still. Of course being in Italy ups your chances of stumbling onto awesomeness 10 fold. Quite sure…it wasn’t that type of bread, nor did it have potatoes. However, what you described sounds darn good. Check Joe’s of Ave U, just off McDonald Ave. in Brooklyn (F train stop right there). If they don’t have it, eat a good lunch there and ask them where you can get it. Thanks SteveR and Vvvindaloo for your replies…should’ve guessed Bensonhurst. Cacio e Vino in the East Village used to make good scacciata, but unfortunately, at a certain point some years ago, they took out their pizza oven.